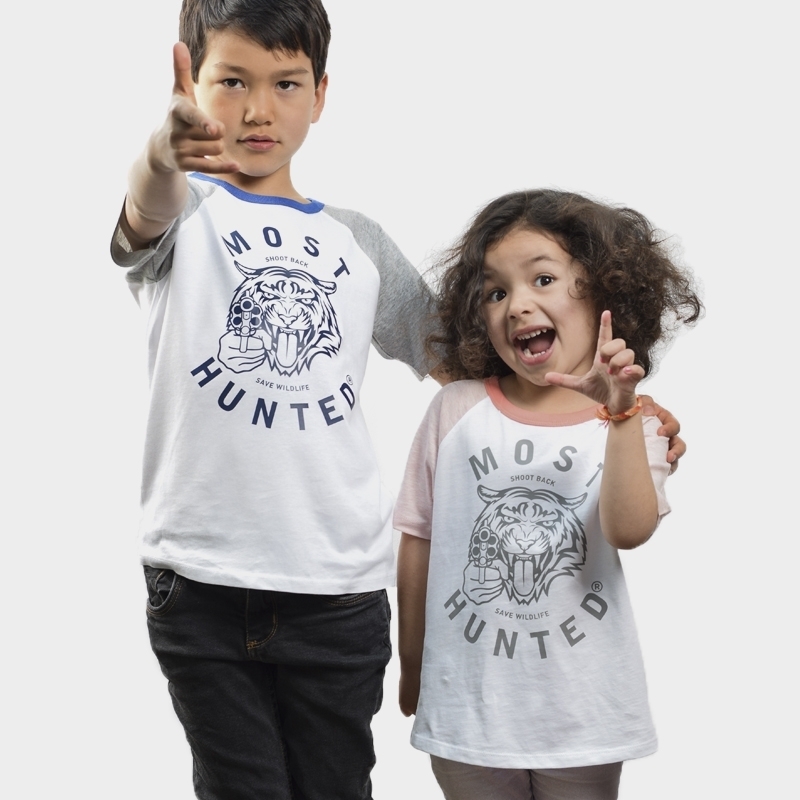 Now kids can fight wildlife crime in their favourite colour MOST HUNTED T-shirt. White, pink, blue, black, cranberry, green. In which would yours like to be seen? Kids love wildlife. Let them save animals threatened with extinction and look beastly good at the same time. 10% of the proceeds will go to wildlife conservation efforts. This entry was posted by MOST HUNTED in Lookbook, News, Shoot.